Consider using the CRUSADE bleeding risk score to stratify risk for major bleeding in patients presenting with NSTEMI or STEMI prior to initiation of treatment. Antithrombotic agents are a critical part of treatment in patients with NSTEMI and STEMI, but major bleeding events are associated with worse outcomes in patients with ACS. The CRUSADE score was developed to stratify baseline risk of major bleeding in community-treated NSTEMI patients to facilitate optimal treatment selection. A subsequent study also validated the score in patients with STEMI as well. Included patients in a database of high-risk patients with non-ST elevation acute coronary syndrome in US hospitals from November 2001 through December 2006, totaling 89,134 patients from 485 sites. Excluded patients with unstable angina, those taking warfarin at home, died within 48 hours of hospital arrival, and those transferred out of a CRUSADE hospital. Population randomly divided into derivation cohort with 80% of the patients and a validation cohort with 20%. Based on derivation cohort, devised scoring system consisting of 8 criteria with varying point values. Study defined very low risk (3.1% risk of major bleeding) as bleeding score ≤20, low risk (5.5%) 21-30, moderate risk (8.5%) 31-40, high risk (11.9%) 41-50, and very high risk (19.5%) >50. Defined major bleeding as intracranial hemorrhage, retroperitoneal bleed, hematocrit drop ≥12%, any RBC transfusion when baseline hematocrit ≥28%, or any RBC transfusion when baseline hematocrit <28% with witnessed bleed. Risk score performed similarly well on the validation cohort. Recommend that patients with higher propensity for bleeding can prompt clinicians to make judicious treatment selections (conservative vs invasive approaches) and carefully dose antithrombotic medications. Original study used same population for derivation and validation cohorts. However, a smaller (782 patients) Spanish study applied the CRUSADE risk score to an entirely different population of NSTEMI patients and found it to be generally validated aside from a small subgroup of 48 patients who received ≥2 antithrombotic drugs but did not undergo cardiac catheterization. An additional study comparing the performance of the ACTION, CRUSADE and Mehran et al bleeding risk scores in predicting major bleeding events in patients with both NSTEMI and STEMI (despite the fact that CRUSADE was originally developed for NSTEMI patients) found that the CRUSADE score was the most accurate of the three in patients undergoing coronary arteriography. The CRUSADE bleeding risk score was subsequently validated in STEMI patients undergoing primary PCI though overall bleeding risk was lower in this population. CRUSADE was then compared to the ACUITY-HORIZONS and ACTION bleeding risk scores in a population of STEMI patients undergoing primary PCI showed that CRUSADE performed similarly to the ACTION risk score, but was superior to HORIZONS. CRUSADE stratifies baseline risk of major bleeding in community-treated NSTEMI patients to facilitate optimal treatment selection. Risks and benefits of anti-thrombotic therapy and invasive treatment should be carefully considered in ALL patients presenting with NSTEMI or STEMI. The CRUSADE bleeding risk score may have decreased utility in NSTEMI patients who receive 2 or more anti-thrombotic agents but do not undergo PCI. Alternative bleeding risk scores may also be utilized in certain groups of patients. Consider less invasive or high-risk anti-thrombotic dosage protocols in those STEMI/NSTEMI patients with increased risk for bleeding based on the CRUSADE bleeding risk score. Abu-Assi E, Raposeiras-Roubin S, Lear P, et al. Comparing the predictive validity of three contemporary bleeding risk scores in acute coronary syndrome. Eur Heart J Acute Cardiovasc Care 2012; 1(3):222-31. Ariza-Solé A, Sánchez-Elvira G, Sánchez-Salado JC, et al. CRUSADE bleeding risk score validation for ST-segment-elevation myocardial infarction undergoing primary percutaneous coronary intervention. Thromb Res 2013; 132(6):652-8. Flores-Ríos X, Couto-Mallón D, Rodríguez-Garrido J, et al. Comparison of the performance of the CRUSADE, ACUITY-HORIZONS, and ACTION bleeding risk scores in STEMI undergoing primary PCI: insights from a cohort of 1391 patients. Eur Heart J Acute Cardiovasc Care 2013; 2(1):19-26. Why did you develop the CRUSADE Bleeding Score? Was there a clinical experience that inspired you to create this tool for clinicians? Above all do no harm, yet some risks are worth taking for the benefits. The CRUSADE bleeding score is a tool to help providers consider the baseline risk of bleeding for their patients. With this, selection of bleeding reduction strategies, and increased care in dosing of adjustable anticoagulants should be considered. What pearls, pitfalls and/or tips do you have for users of the CRUSADE Bleeding Score? Are there cases when it has been applied, interpreted, or used inappropriately? Risk of bleeding is strongly correlated with risk of mortality. It is not the case that those with highest bleeding risk are the same patients without a benefit from anticoagulants. Rather, the opposite is often the case. Higher bleeding risk, greater benefit to be gained from treatment. Key is in the awareness of that risk, and exercising care in dosing and treatment selection. Lower hematocrit and renal function are the most predictive items in the score. What recommendations do you have for health care providers once they have the CRUSADE Bleeding Score result? Are there any adjustments or updates you would make to the score given recent changes in medicine? The score was developed in a cohort treated with GPI inhibitors, lovenox, and unfractionated heparin. Very little bivalarudin and no newer antiplatelet agents were used in this cohort. The basic variables should be the same, but their relative weights may differ based upon the type of agents used. How would you compare the CRUSADE Bleeding Score with other bleeding risk assessments for patients using anticoagulants? The baseline variables used in the CRUSADE score are the same as in other scores. Some other scores include agents which contribute to bleeding as well. The baseline variables also vary slightly for example use of eGFR vs serum creatinine for renal function. 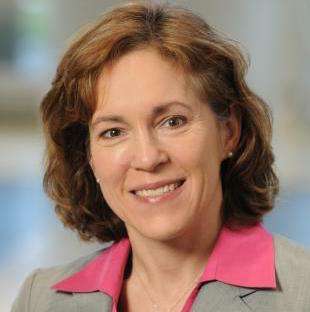 Karen Alexander, MD, is cardiologist at Duke University Hospital and Durham Veterans Affairs Medical Center. She is also co-director of Integrated Clinical Event and Safety Surveillance (ICE-SS) and associate professor of cardiology at the Duke Clinical Research institute (DCRI). Dr. Alexander's research focuses on cardiovascular disease management and outcomes in special populations, specifically women and the elderly.